Marriage gives couples a chance to revel in the excitement of the moment and start a new life together. Even with the romance of it all, the couple must stop and consider the practical financial ramifications of the life event. In North Carolina, couples choose to keep their finances separate or combine their bank accounts when getting married. Regardless of their choice, even separation of investments doesn’t guarantee protection if a divorce occurs. For couples who are married, a prenuptial agreement isn’t possible, but a postnuptial agreement offers the same protection. A Raleigh Prenuptial Agreements Lawyer helps couples with the formation of these agreements. What is the Difference Between Prenuptial or Postnuptial Agreements? A postnuptial agreement occurs after the marriage takes place. Why would you want the legal document? If it’s your second marriage and you have children already, it’s paramount that you protect your assets for your children. Additionally, if you develop a life-threatening disease, you need reassurance that he or she won’t leave you or give up on the marriage. The same is true of an unfaithful partner. You wouldn’t want to marry someone who isn’t committed to the union. 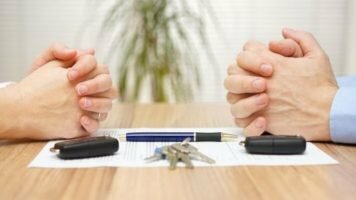 These agreements can allow for division of assets or spousal support arrangements if infidelity occurs. Start with the division of all properties and assets. The agreement protects inherited assets like a house or wedding rings (even though your spouse wore them throughout the marriage). Defining the terms of asset division prevents losing them after the divorce. Another area to consider is children, child custody and support. Although you may not have children now, it doesn’t mean you won’t fight over children in the future. It’s best to define the terms as early as possible. Too often in divorce cases, spouses use children as leverage. A spouse who is the most level-headed and sincere partner, in the beginning, could become controlling and manipulative at the end. For example, accepting a job offer in another state derails your chances of custody if your spouse wants you to stay close. Without an agreement, you may be forced to choose between financial security for your family and child custody. Are the Agreements Enforced in All States? No, prenuptial and postnuptial agreements are not enforced in all states. Before you contemplate moving to another state review the current laws. 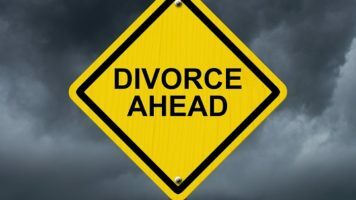 Moving to another state forfeits your rights in the postnuptial agreement if the court doesn’t enforce the terms. Additionally, even if the court applies the terms, updating the agreement after accumulating new assets provides lasting protection and can also include a separation agreement. In North Carolina, creating these agreements while you and your spouse are still on good terms is vital for your future. Daphne Edwards Divorce and Family Law can review your situation and help you with these agreements. Contact us now!